Adventures of Elis: LUCCA, and Northern Tuscany. When most people think of Tuscany, images of rolling hillsides clothed with vineyards and cypress trees. This is very much the case in most of the region; this idyllic landscape is definitely worth seeing. However this post will focus on the rather different landscape in the north of the region, which comprises the dramatic Alpi Apuane and Apennine mountain chains. Morning mist over the Equi Valley in Lunigiana. 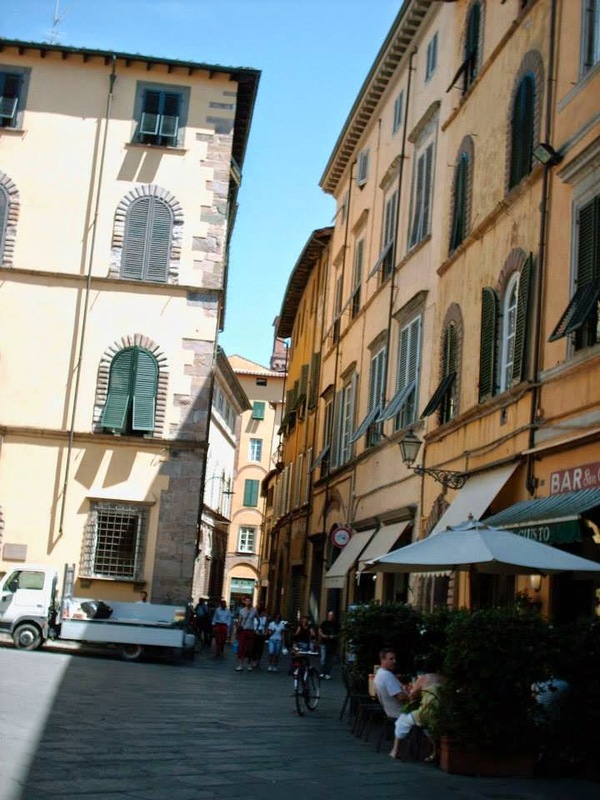 When coming from the south, the ‘gateway’ to this area is the beautiful walled city of Lucca. Founded in ancient times by Etruscan civilisations, then taken over by the Romans, this city has a long and colourful history. The historic centre (Italian: ‘il centro storico’) is extensive, surrounded by well-preserved city walls which date back to the Renaissance period. A stroll through the maze of narrow streets and sunny squares gives the feeling of going back in time. It’s difficult to get bored in Lucca as there is a lot to see so I would recommend setting aside a whole day to explore. Sights worth seeing are the unique circular Piazza dell’anfitaero, the Guinigi tower (which interestingly has trees growing from its roof! ), the impressive Lucca Cathedral ‘Duomo di San Martino’ and the numerous churches (all of which are beautiful and have their own unique character). 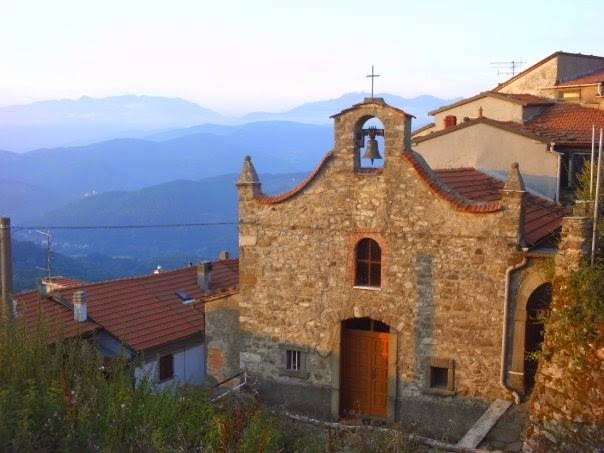 A very pleasant walk – ‘la passeggiata delle Mura’ - runs around the walls themselves and gives lovely views of the historic centre as well as the nearby mountains to the north of the city. Lucca is one of my favourite Italian cities. Unjustly, it doesn’t seem to get as much publicity for some reason compared to nearby Florence or Pisa, however this keeps away the mass crowd of tourists which the other two cities receive, making for a relaxing atmosphere. Following the Serchio valley to the north of Lucca will take you into the mountainous part of the region. The steep hillsides are covered by a dense blanket of chestnut forest, which makes the area vibrantly green during the summer months, a real contrast to the landscape further south. After passing the pretty Ponte del Diavolo ‘Devil’s bridge’, you will come to the pretty spa town of Bagni di Lucca, which is nice to explore, albeit small. The valley splits in two at Bagni di Lucca – we carried on through the Serchio valley towards Castelnuovo. Thing brings you into the historic region of Garfagnana. This is a very rural area, dotted with a number of small towns and villages. I would recommend a visit to the historic centres of Barga and Castelnuovo di Garfagnana. 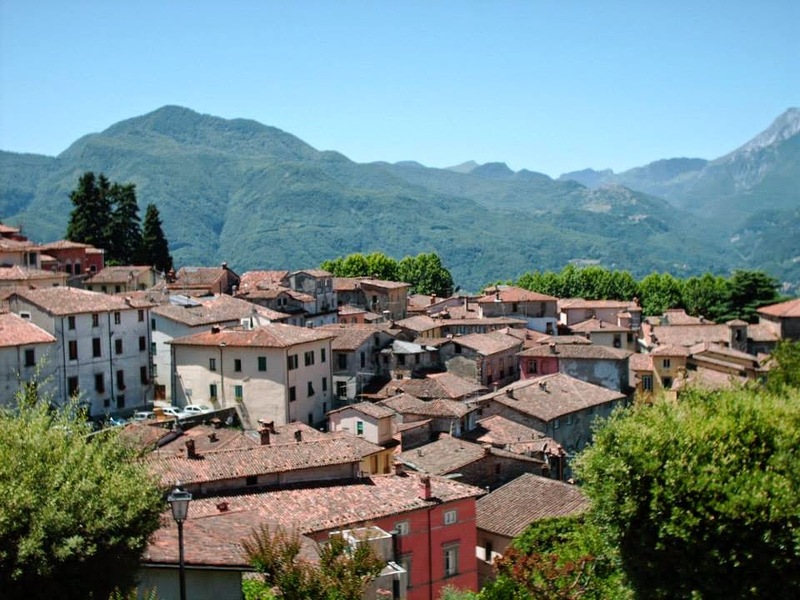 Barga is a hilltop town, which offers spectacular views of the dramatic Apuan mountains to the west. The medieval Verrucole fortress is an interesting place to visit, close to the village of San Romano in Garfagnana. The fortress is quite well preserved and entry is free. The two main mountain chains in the area are separated by the Serchio valley. To the west of the Serchio are the Apuan mountains and to the east are the Apennines. Both are very different in character. The Apuan chain is formed from limestone and marble and is characterised by very steep slopes and sharp, pointy peaks. These mountains are famed for the marble quarrying, which is particularly prominent in the area around Massa and Carrara. Marble quarries have left large white scars on the mountainsides – I thought the white patches were snow the first time I saw them, despite the 30°C summer heat. Oddly, the quarrying hasn’t ruined the scenery – I would go as far as saying it enhances it. We drove from Castelnuovo di Garfagnana to the Passo del Vestito near Massa (follow the signs to Massa from Castelnuovo). The scenery is rugged and fabulous along this entire route and the views from the summit of the pass are incredible. The road climbs to 1151 meters above sea level, giving extensive views across the mountainous landscape towards the Versillia coastline. 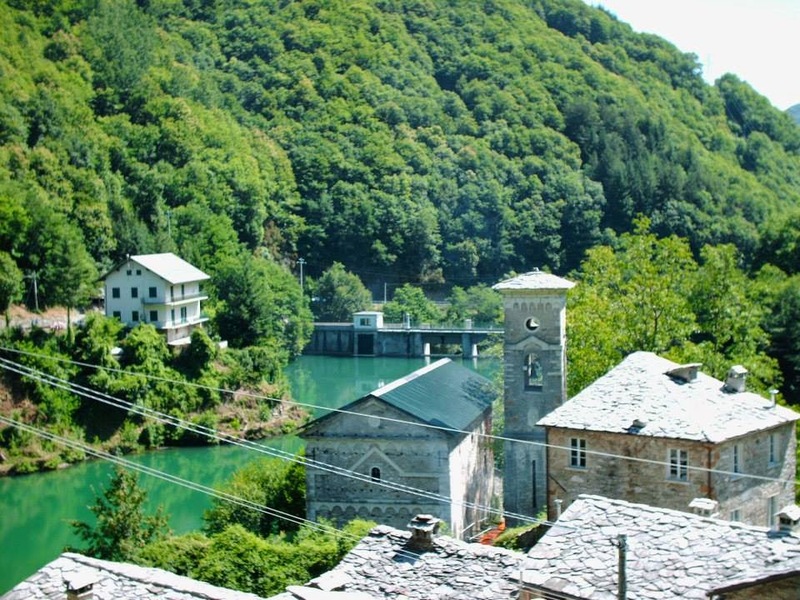 This route also passes the small village of Isola Santa, with its pretty blue-green lake. View over the Apuan mountains from the Passo del Vestito. To the east of the Serchio valley, the Apennine mountains are very different. The landscape is not quite as rugged as the Apuan mountains, it is characterised by open, windswept uplands and rounded summits. 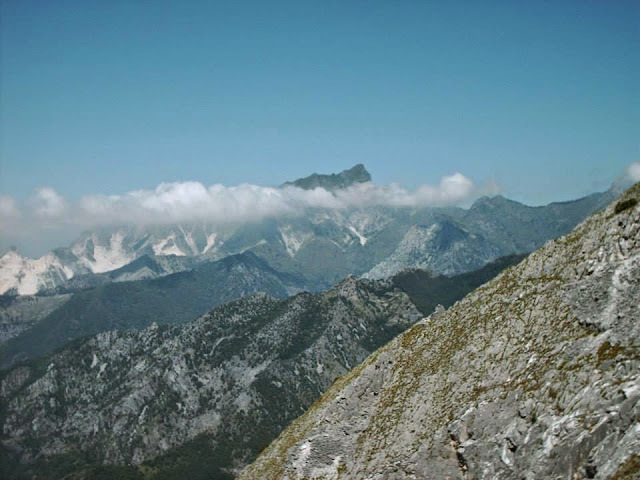 The highest peaks in this range exceed 2000 meters, with Monte Prado rising to 2054m. 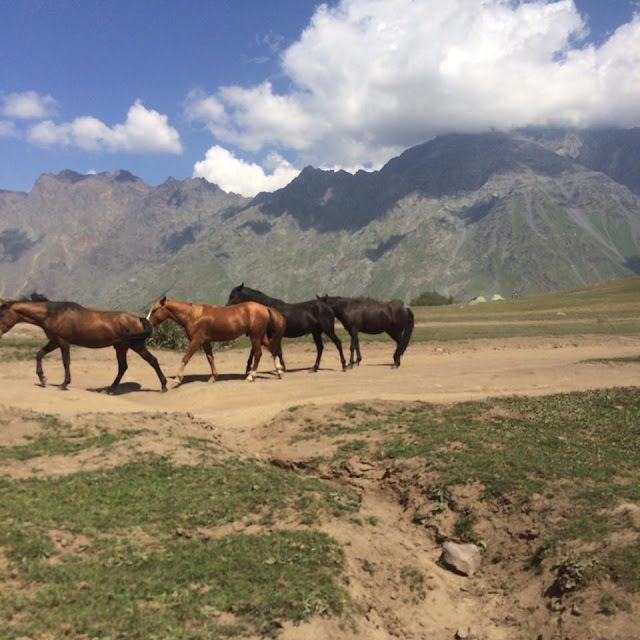 Perhaps the biggest attraction of this area is its wild feel, and abundance of wildlife; it is home to wolves, deer, wild boar, golden eagles and even bears. A good place to see these impressive animals is the Orecchiella Park ‘Parco dell’Orecchiella’ – the park’s visitor centre near San Romano in Garfagnana is a good source of information. In the extreme north of Tuscany is the Lunigiana region. 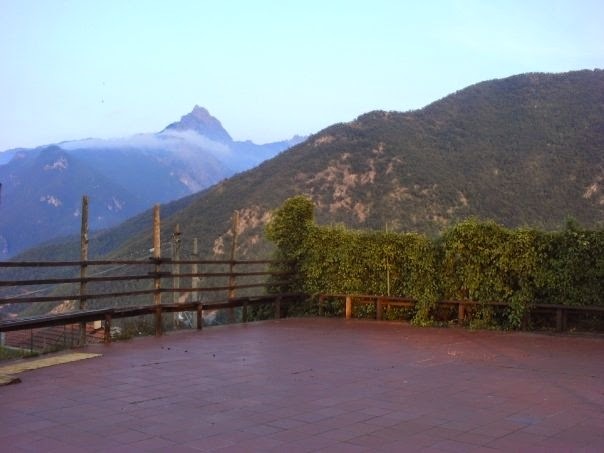 This area is similar in character to Garfagnana, dominated by the Apuan and Apennine mountains. Good places to visit in this area are the small towns of Equi Terme and Fivizzano, as well as the larger Pontremoli. Equi Terme is a small spa town with pleasant public spa pools and the Grotte di Equi caves. The majestic pointy peak of Pizzo d’Uccello towers above the town, termed the ‘Tuscan Matterhorn’ because of its shape. This peak rises to 1781 meters, with an impressive vertical cliff face on its northern face. The Versillian Riviera runs along the north Tuscany coastline. This is characterised by a continuous long sandy beach and endless rows of deckchairs stretching from Viareggio through Forte dei Marmi to Marina di Carrara. This is perfect for sun seekers, but perhaps not the most scenic coastline in the area. In my opinion the nicest beaches are found a short trip to the north in the region of Liguria. Lerici has a pretty harbour and sandy beach with both public and private sections. To read more about the Ligurian coastline, see my seperate blog post > Ligurian coastline. The closest airport is Pisa, which is served by budget airlines from the UK and other parts of Europe. The remote mountainous parts are quite difficult to access without a car, but the main towns have train connections with Trenitalia. The area is quite large, so a couple of weeks is needed to explore extensively.